Chiropractic Bakersfield: Is Chiropractic Care Okay For Kids? When you see a six year old drop into the splits without thought and bounce up like they’re made of rubber, it’s hard to think of kids as having spine or joint issues. The truth of the matter, though, is that kids are just as likely to experience misalignment or other issues with their spine and joints as adults do. When you experience back pain or joint pain as an adult, the answer is to make an appointment for chiropractic care. But what do you do when your child starts complaining about elbow pain or back aches? Since it’s a gentle and natural treatment, chiropractic care is a safe enough treatment option for kids as it is for adults. It’s even safe enough for pregnant women and newborns. So, when your child complains of pain emanating from a joint or their spine, it’s a good idea to take them to your local chiropractor — assuming the pain isn’t from a recently-acquired scrape. There are a range of different things that can affect your child’s joints and back. A hearty whack to the knee may leave a bruise, but it can also affect joint alignment. Kids that like to throw themselves bodily into every activity may experience alignment issues from all the bumps and jarring to their joints. Fortunately, kids are pretty hearty as they’re growing, so they can bounce back well from many injuries. However, if your kid is still complaining of pain a few days after a minor injury, or it sounds like pain that goes beyond that of a bruise or scrape, it can be a good idea to take them in for a chiropractic adjustment and be sure a bump didn’t cause alignment issues. Regular chiropractic care is also a good idea for children, especially as they go through growth spurts. When the body is growing particularly quickly, it can be even easier for joints to become misaligned. Alignment issues can then inhibit communication through the nervous system. This may cause pain, but even more than that, misaligned joints can affect proper growth. Regular chiropractic adjustments help ensure joints are properly aligned and growth won’t be hindered. In addition, the birth process can cause similar concerns. It’s a good idea to bring your newborn in for a chiropractic adjustment shortly after birth for a gentle adjustment to make sure they can grow properly. Repetitive motions can be hard on joints. This is why you’ll often hear people say activities like running and biking are bad for you; they’re generally talking about the potential damage to joints. Repetitive motions, particularly those not done in a correct/ergonomic way, can cause muscles to press against joints, causing the joints to rub or come out of alignment. As you probably imagine, most kids aren’t concerned with their form when chasing after a soccer ball. 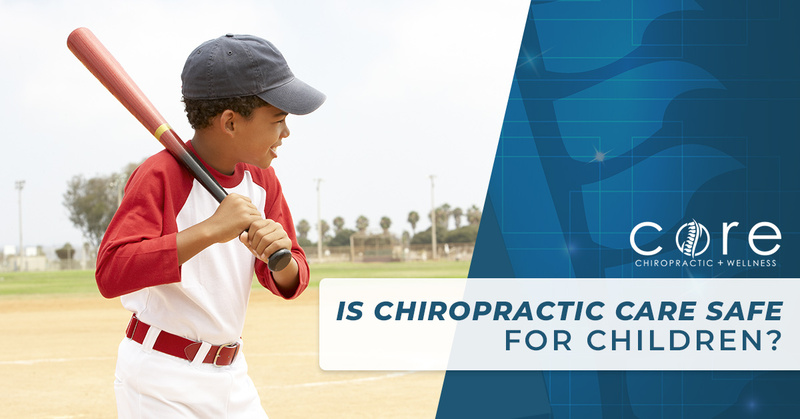 If your child is active, it’s a good idea to have them checked by a chiropractor on occasion to ensure healthy joint function. Want to learn more? Contact the team at Core Chiropractic + Wellness in Bakersfield today.